Are you ever getting back from a mixing break to find your song has gone in the wrong direction? Do the tracks that started out vibey now seem boring and lifeless? Over-using plug-in processing is something every mixer must be careful with. Here we’ll tell you how. Today’s plugin processors are more powerful than ever and are indispensable tools to the modern music production workflow. They offer a wide range of signal processing and provide DAW users with significantly more control over their audio than any other time in history. But with all the processing power now at your fingertips, you must be careful not to get carried away. The danger is that you can unwittingly turn your mix into a lifeless, fatiguing and overly ambient mess. To help you avoid crossing the line, we offer the following tips. The best defense against over-processing is to begin the mix with well-recorded tracks that sound good dry. If you’re involved in the tracking stage, take the time to do things that will maximize both musical and sound quality; choose the appropriate mic for the application, find the best mic position, make sure your input levels are healthy, check that the drums are adequately tuned, and try to charm the best possible performance out of the talent, especially if it’s you. Plugins are more effective enhancing a well-recorded track than trying to fix a flawed one. 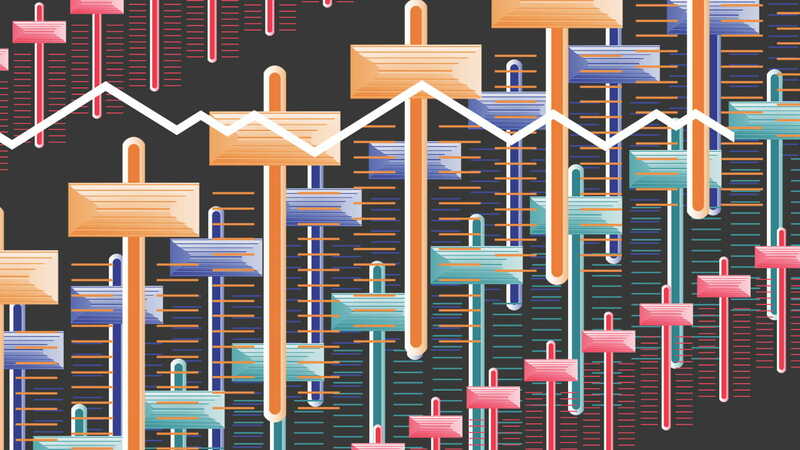 Yes, you can apply EQ and dynamics control correctively, but if the recording sounds lousy to begin with, you’re going to be battling uphill the entire time. If the situation allows, it’s usually better to re-record a problematic track. It’s often tempting during the mix to spend a lot of time in solo on individual tracks, tweaking them to perfection. However, it is critical to remember that mixing is about the blend of multiple tracks, so try to make as many processing decisions as you can in context of the full mix. Just because a part sounds good on its own doesn’t mean it will work in the full song. If you are applying processing on a track that’s in solo, make sure that you check it with the full mix before moving on. That killer compression you dialed in on the snare drum may sound great when played alone, but it might be overkill when you add in the rest of the tracks. That cool-sounding saturation on the guitar might turn out to be excessive when combined with other distorted tracks in the mix. Context is king. Be careful not to overuse the solo button. When using H-EQ for example, the settings you apply to a soloed track may not work as well with the rest of the tracks playing. It’s easy to lose objectivity after mixing for several straight hours, and when you do, you’re more likely to make bad processing decisions. In addition to taking frequent breaks, you can keep your perspective by periodically comparing your mix to a recording that you like in a similar style—or even one of your own finished mixes. Among other benefits, this comparison will give you a reference for judging whether your compression is too heavy, your EQ is too harsh, or your reverb is too dense. If there’s also a rough mix of the project available, it can be useful to compare it with your current mix. As a general rule, unless you’re going for a super-pumpy vibe, try to keep the gain reduction on your compressors under 10 dB to avoid an over-compressed sound. You should also be mindful of using fast attack times, as they soften the transients and exaggerate how “compressed” something sounds. If you want your transients to stay natural-sounding, keep your attack times over about 12 ms.
One way to avoid too much compression is to use volume automation for dynamic adjustments, instead of making a compressor do all the heavy lifting. For example, if a vocal track has loud peaks that you want to turn down in certain spots, automate the fader to lower them. Similarly, you can bring up the levels of sections that are too low. To do this quickly and save time, you can have the Waves Vocal Rider plugin do the automation, or volume ‘riding,’ for you. 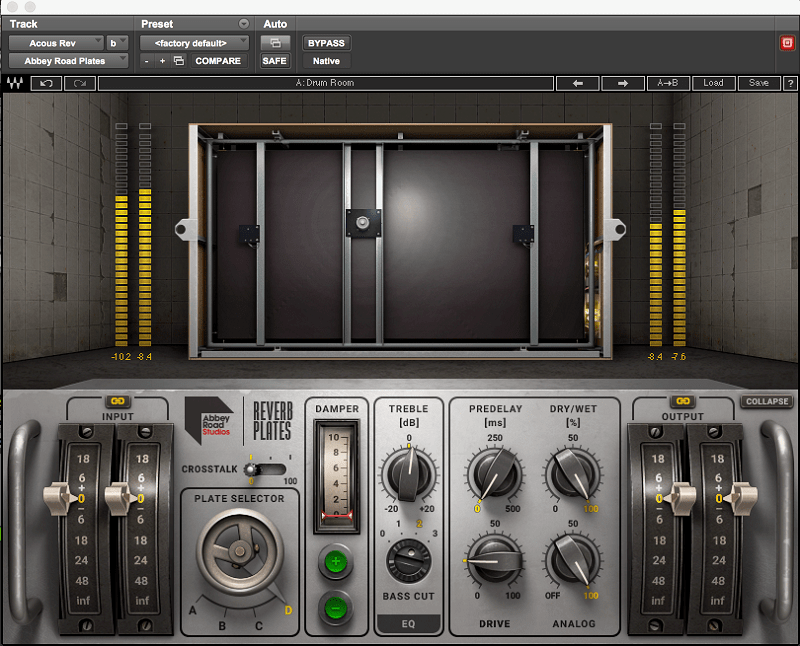 Vocal Rider can act as a more transparent alternative to a compressor. Parallel processing, especially for compression, is a very handy technique. It provides you with a simple way to blend the compressed signal tastefully into the mix, alongside the dry track. It can be useful in fattening up tracks with less concern of squashing them, as the compression isn’t affecting the original sound. While it’s most commonly used on drums and vocals, you can parallel compress any track. For those unfamiliar, there are two ways to configure parallel processing. The first way is to create a copy of the source track, either by duplicating it or sending it to a new track using a bus. You then heavily process the copied/bussed track and adjust the fader to blend it in with the dry signal—maybe with some EQ on the parallel track for brightening. Executed correctly, this method allows you to get the intended compressed sound without overwhelming the original track and its transients. 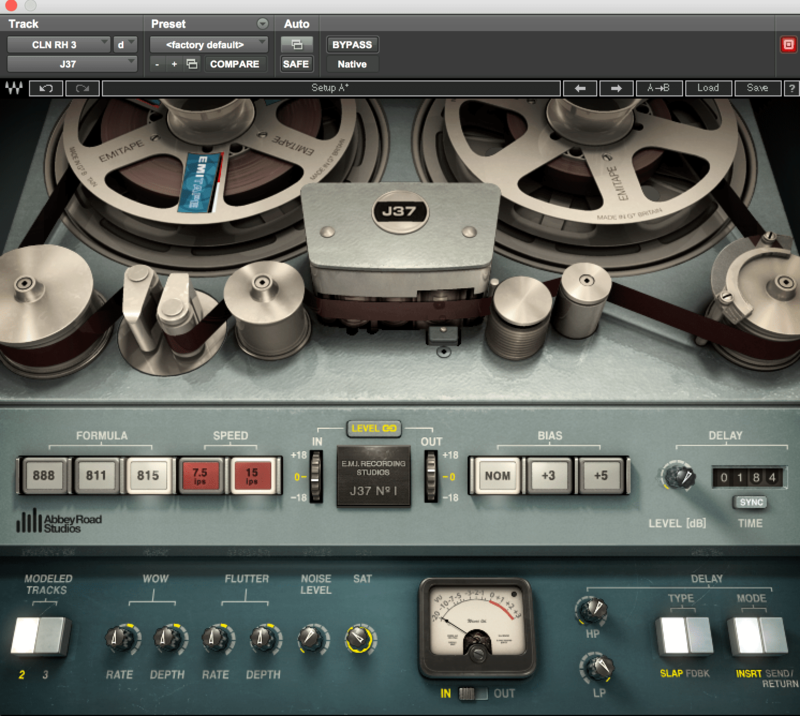 The second way to achieve parallel compression is to use a compressor with a blend or mix control. Start with the mix down at 0 and the compression set high. Bring up the mix knob slowly until you’ve arrived at the desired amount of compression. 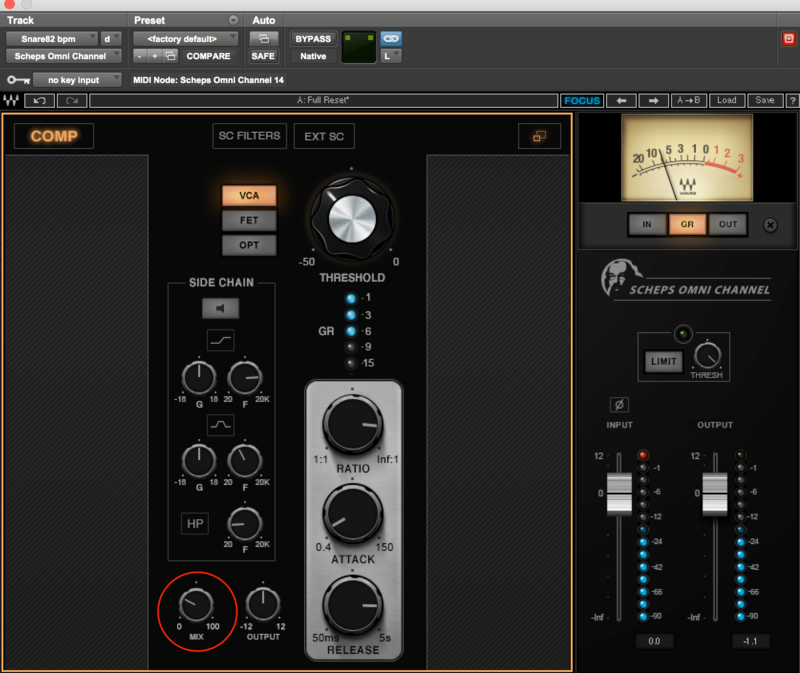 One way to achieve parallel compression is to use a compressor like the one in the Waves Scheps Omni Channel which has a Mix control (circled). An equalizer is great for subtle tone shaping. Use it for cutting a little here or boosting a bit there to polish and correct the tone of the voices and instruments. You might even cut a particular frequency range on one track to carve out room for another. But if you’re consistently making corrective boosts or cuts of about 7–10 dB or more, you’re probably overdoing it. It’s easy to inadvertently make a track sound too harsh, thin or boxy with EQ moves. 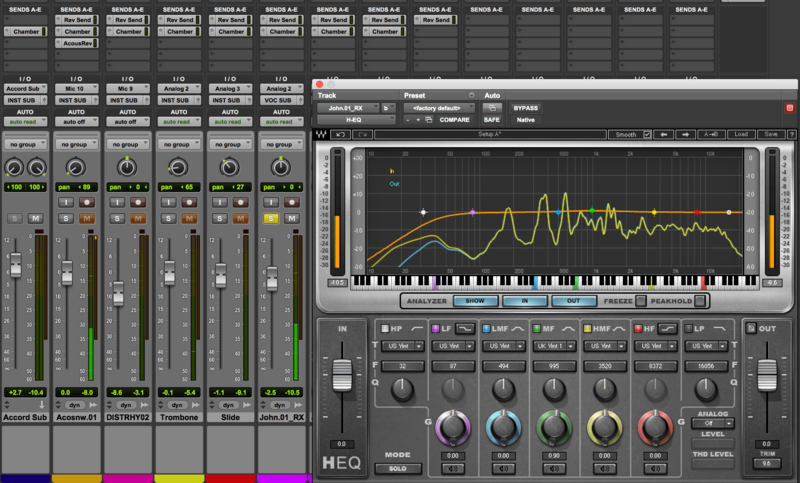 It’s always helpful to bypass the EQ as you work to make sure your processing is actually improving the sound. If a track has frequency problems that require a massive amount of correction, you might be better off re-recording it. Saturation plug-ins such as Waves J37, Kramer HLS Channel or Manny Marroquin Distortion are useful for adding interesting non-linearities to clean digital recordings. The ability to make a digital track sound like it was recorded through a tape machine, analog mic pre or tube processor can help warm up a mix. But like compression, applying saturation too aggressively on multiple tracks in a mix can cause the song to lose its punch. Eventually, this over-processing can lead to mushiness. Plugins that add saturation such as the Waves J37, can help warm up a digital recording, but be careful not to overuse them. To effectively simulate a song recorded on an analog tape machine, you could use a tape emulation like the Waves J37 lightly on some of the critical individual tracks, or try the Kramer Master Tape on the mix buss. How you apply it is totally song-dependent. However, if you notice that after you’ve used it (or any other saturation) the transients have softened dramatically, try pulling back your settings or inserting it on fewer tracks. If you find you’ve got multiple processors inserted on a track and you’re still not happy with how it’s sounding, resist the temptation to add more plugins in the hope it will improve. For example, let’s say on a track in your mix you’ve put a compressor, EQ, transient shaper and tape emulation plugin, but it’s still not sounding right. Instead of reaching for yet another plugin, try bypassing one or more and see what happens. Sometimes you’ll discover that lessening the processing will improve the results. If you’re still unable to achieve the sound you want, try removing all plugins from the track and start over with a more minimalist mindset. Reverb is a key ingredient in virtually any mix, but it’s an effect that’s easy to overdo. Too much ambience can make a mix sound muddy and indistinct. Be particularly careful of long decay times which, especially on faster songs, will ring over into subsequent beats or measures, and can cause everything to sound splattered and messy. Pay attention to the tails of vocal lines, where the reverb is clearly evident. Also be wary of the low end of the reverb signal, as it can create mud. Insert a high-pass filter or use the EQ functions in your reverb plugin to remedy this issue. When applying reverb, like the Abbey Road Plates for example, set decay times judiciously so that the tails don’t muddy up the mix. When you feel your mix is far along, listen through, paying specific attention to the reverb and consider how it's impacting the overall sound. Try to assess whether you need to dial it back a little. Consider the genre you’re working on and the conventions of processing appropriate to it. A perfect mix in one genre may be way over-processed for another. For example, if you’re working on an indie rock or Americana song that’s supposed to sound natural, creating slick-sounding reverb treatments and heavy compression will probably strike the listeners as over-produced and out of place. If you’re not very familiar with the genre of a song you’ve been asked to mix, do plenty of listening to relevant reference tracks to hear the kinds of processing being used. You can always experiment, but you should begin by understanding what a production in a particular style should sound like. Plugins on the master bus are often the prime culprits in over-processed mixes. This occurs because slight plugin moves on the master have magnified effects on the mix, which are easy to lose sight of. Some mixers favor the approach of adding master bus plugins early on, especially compression, and “mixing into them.” This method allows subsequent mix decisions to be influenced and compensated by the master processing, often allowing you to get away with less individual track processing. Other mixers prefer to add master bus plugins at the end of the mix, where they can consider exactly what the mix needs, and fine tweak the plugins to suit. In any case, it’s important to be constantly aware of what exactly is on your master bus, and how it is affecting the sound of your mix. Regularly go through and bypass each plugin to make sure it is adding the intended benefits. Master bus compression should generally be of the “glue” type, which typically performs only a few dB of gain reduction. You don’t want your master bus compressor to be heavily squashing your mix. Likewise, master bus EQ should be subtle and designed to add some tasteful frequency enhancement. Any significant corrective EQing should take place on the individual tracks, not the master. Want more mixing workflow tips? 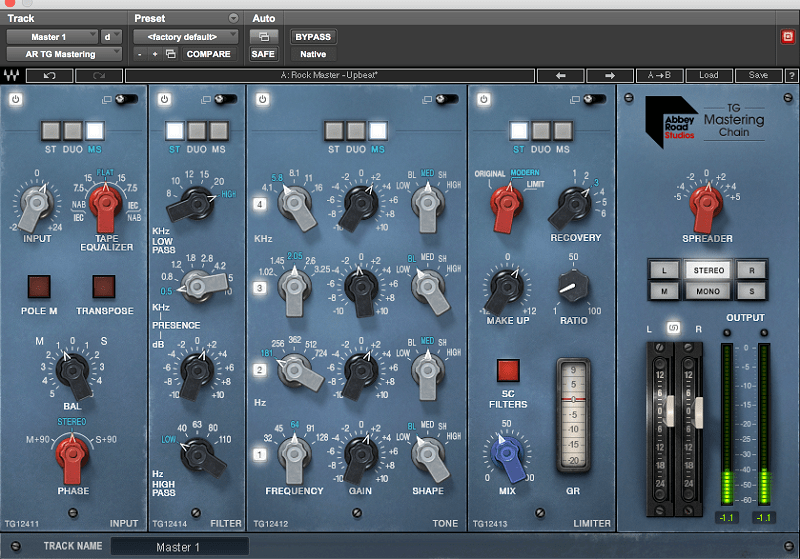 Get tips here on how to mix more efficiently.